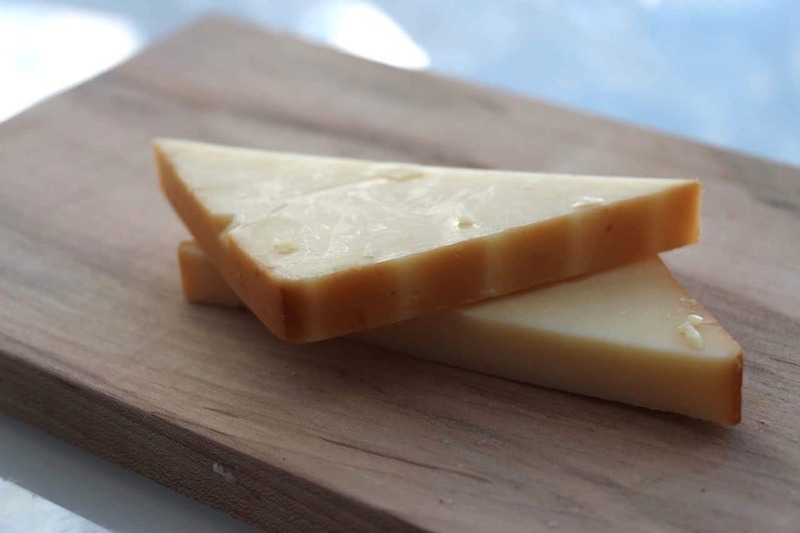 I first sampled this Applewood Smoked Cheddar during a tasting for the 2013 Canadian Cheese Grand Prix where it was awarded top prize under the Flavoured Cheese with Added Non-Particulate Flavouring Category. The cheese is produced by Cows Creamery in Prince Edward Island with a recipe originating from the Orkney Islands, north of Scotland. A two year aged cheddar is infused with natural applewood smoke to produce a full, smoky flavour using a dry stir method, in which the curds are dried and then salted, the cheese is smoked for a total of six hours.